Spend an unforgettable alm holiday in Salzburger Land together, experience nature and try the local specialties – Loosbühelalm in Ellmautal in Großarl offers the perfect all-around program for a group holiday at 1,796 m. A total of 42 people can stay the night at the hut in the Salzburg region. 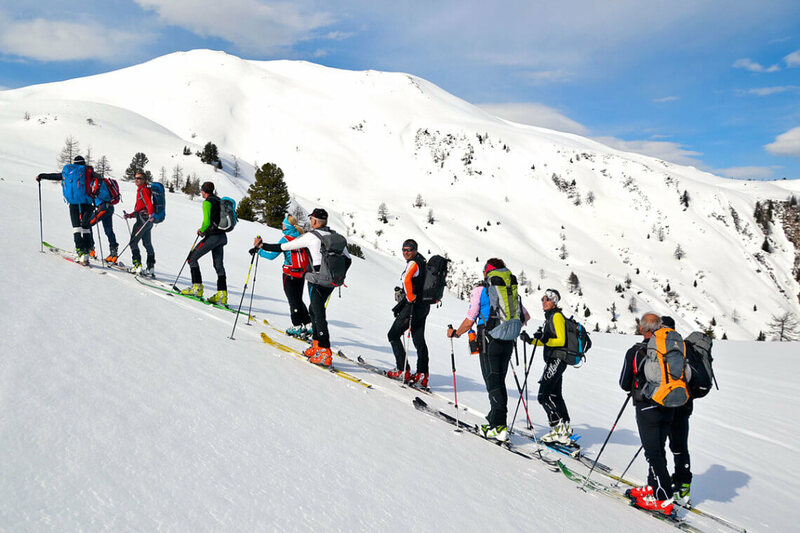 The alm region is great all year round for private holidays, and mountain courses. Even a conference room with extensive facilities can be found up here. We will spoil you during your chalet holiday in Salzburg with a rich farm-fresh-breakfast and optional evening meals in the summer or with half board (3-course menu) in winter. You can request selected meals to enjoy during a day or company trip, or personal celebration such as a birthday party! The “Hutessen” is an extremely popular meal: meat and vegetables will be grilled on a hot iron plate on your table and as a side you will receive a crispy salad and tasty sauces. Area around Loosbühelalm: Hiking and touring area, as well as ski area – ideal for alpine courses, winter seminars, group activities and much more. Are you planning to visit or stay at Loosbühelalm with a large group? – We look forward to having you, and please contact us to organize your reservation! Either by Tel. +43 6414 4080 or send us an email!